There were only two bidders. The bidding started at $800,000 and the fairgrounds were eventually sold for $900,000. The new owner plans to keep the Renaissance Faire and add new festivals. 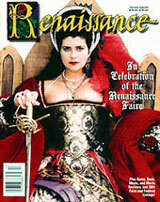 The Faire opened in 2006, but was cancelled this year. Court records show the festival owners owed more than $800,000. A foreclosure was filed on the property last fall. Good day! I simply want to offer you a hue thumbs up for your excellent info you ave her oon this post. I'll be coming back to your website for more soon.